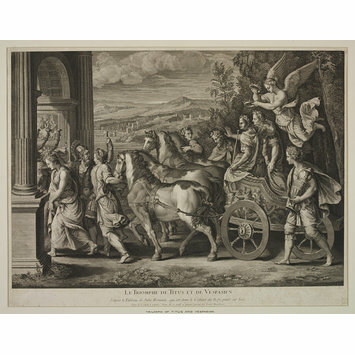 Triumph of Titus and Vespasian; After Giulio Romano; Engraving print on paper. Engraved for the Crozat Collection. 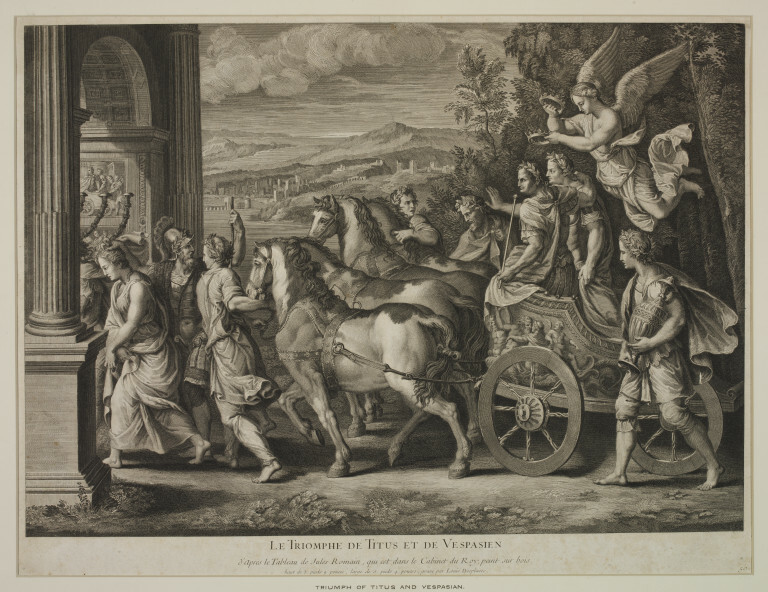 Triumph of Titus and Vespasian; After Giulio Romano; Engraving print on paper; By Louis Desplaces; French School; Early 18th century.